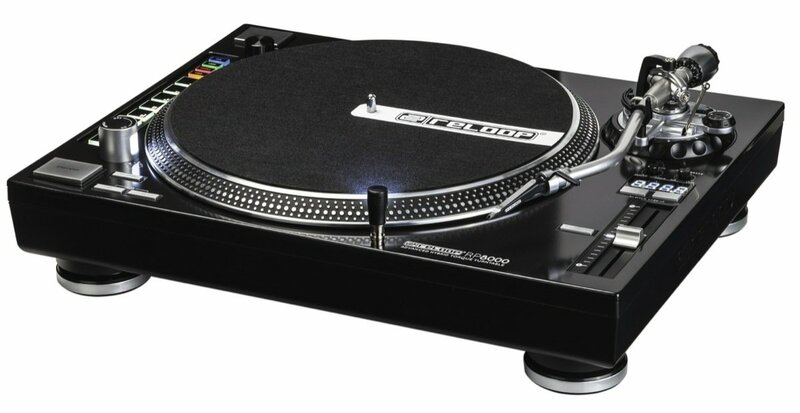 Reloop RP 8000 Hybrid Torque Turntable with MIDI DJParts - All Variety of Parts that DJ Needs. The Reloop RP-8000 combines modern DJ technology in an advanced turntable. This hybrid high torque turntable does the balancing act between approved direct drive technology and a digital control section for your DJ software. The RP-8000 is able to communicate with any midi compatible DJ software - an additional modular controller is not necessary anymore. Serato Scratch Live mappings are also available with which the worldwide most popular and stable DVS system can be controlled. With the Trax encoder it is possible to scroll through your playlists and comfortably load tracks onto the decks. The RP-8000 disposes of 4 combinable performance modes. This way creative features are available such as access to 8 hot cue points. This means whole new possibilities for beat juggling. As the 8 drum pads are also multi-functional, loops can also be set and triggered. Even access to sample decks is very easy with the RP-8000. A further bank is available for slicer mode for cutting and remixing your tracks on the fly. RP-8000 firmware and software update - now better than ever! Thanks to the latest firmware update, the RP-8000's technical abilities are further enhanced. In Serato DJ 1.7 it is now possible to display the current BPM of a track on the pitch display. This way you can sync your tracks directly at the turntable. Further treats: Global sampler volume can be adjusted via the Trax Encoder, looped slicer mode and loop shift are now available. This way drum rolls and instant effects can be controlled - various presets can be downloaded from the product website. The Dual Performance mode is especially clever: when two modes, such as cue and loop, are pressed simultaneously, the first 4 trigger buttons are assigned to cue and the other 4 buttons are assigned to loop mode. The Turntable Link Mode is also quite smart: via USB up to 4 turntables can be linked. The single devices assign themselves automatically and consecutively to the next deck - this way only one turntable has to be connected via USB to your PC/Mac. Sophisticated and fast turntablism showcases can also be realized without a problem, thanks to the additional start/stop button for vertical positioning and a variable torque from "Classic" to "HiTorque". More variety in the mix: with the reverse button and an adjustable start/stop time from 0.2 to 6 seconds, individual and creative impulses can be set with the RP-8000. As the turntable is equipped with a line/phono switch, it can even be connected directly to line inputs of mixers or amps - grounding not necessary. Reloop RP-8000 - next generation turntable controller.